Wow we're already in the second month of this project and this week its my turn to be in the spotlight! My name is Joanna Kent and I live in a small market town in the county of Hertfordshire which is about 40 miles north of London in the UK. I'm a single mum, by choice, having decided after 16 years of marriage that there had to be more to life than being with someone who was unsupportive and whom I was no longer in love with............or maybe I just had a midlife crisis? I was 40 the year I left after all. I have one teenage son and we live in our little house in our little town, with three very naughty and nosey kittens. I've been quilting since I was 18 having been inspired by a quilt show I visited and I have to say I haven't looked back since, nor done any other craft since then. I run my own online quilt shop selling fabrics and threads. I am also the editor of the UK's longest running patchwork magazine called British Patchwork & Quilting. This year sees our 30th anniversary which is quite exciting. I've been quilting for so long now, I can't remember a time when I didn't quilt. I can't imagine going through this life not being inspired by something I see in the world or by a certain fabric or pattern. There is a certain satisfaction in creating something that you can touch and stroke and which gives you comfort. Its hard to put into words what being a quilter means to me. Its my whole life. I have a couple of quilts that I am really proud of. One was accepted in Paducah in 2001 the year my son was born and as I was 6 months pregnant I was unable to go and see it hanging at the show. I'll see if I can dig out a photo for instagram as I don't seem to have one on my pc. 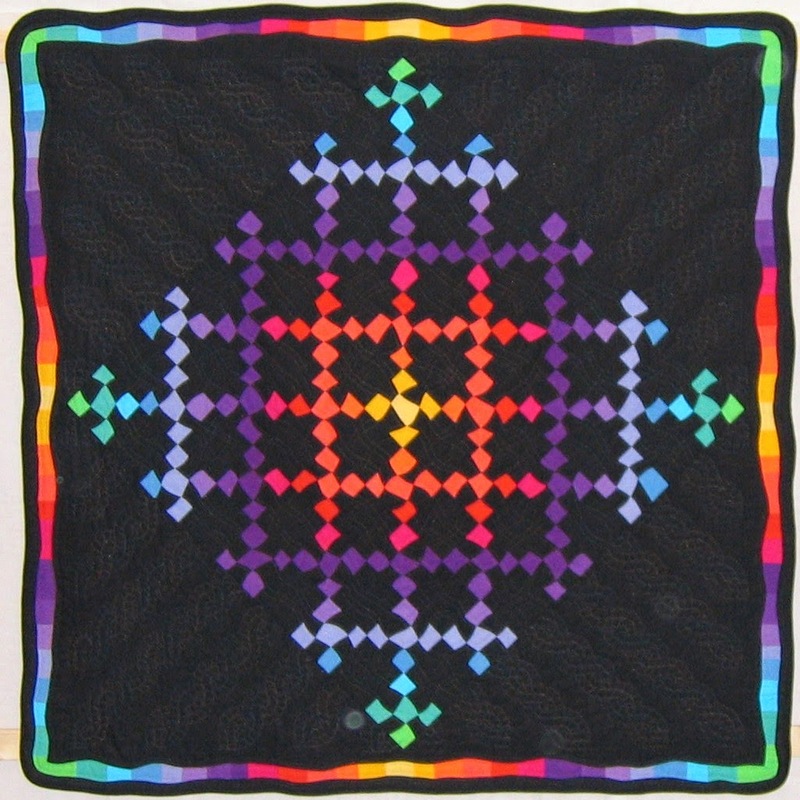 My other fave quilt is one called Curvy Nine Patch. The quilt uses hand dyed cottons and is actually hand appliqued wonky squares rather than pieced. It won third prize in the traditional quilts category at the European Quilt Championships in Holland in around 2004 I think. Until recently I made most of my quilt by hand but necessity has made me teach myself to machine quilt and I also machine piece most of my quilts now. I particularly like using pre-cuts packs from Hoffman Fabrics. This quilt is called Strip Race Interrupted. I love the colours in this one. 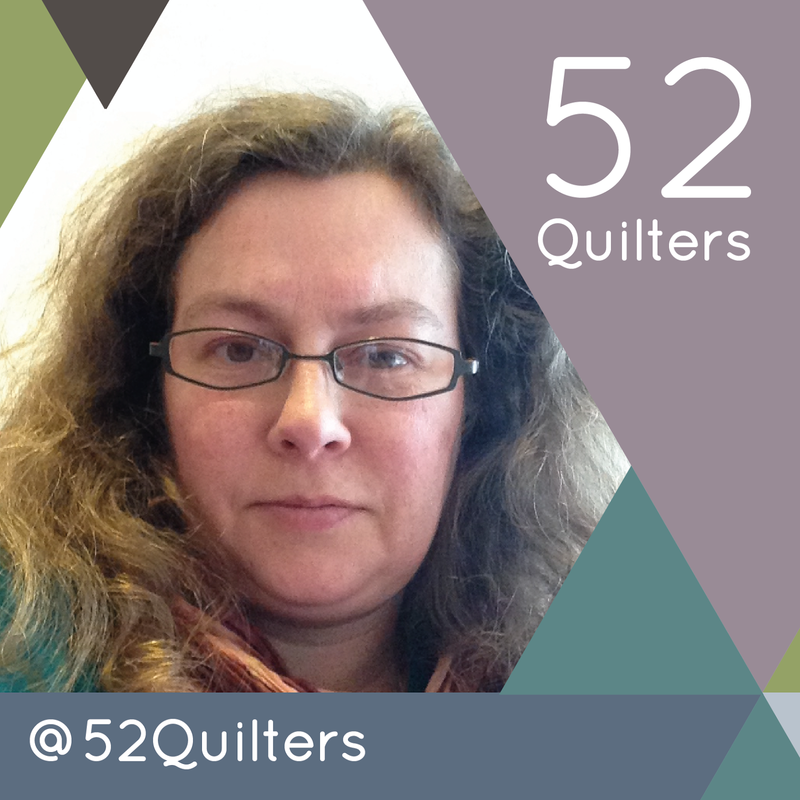 I hope you enjoy my week on @52quilters! Great to learn about you, Joanna. Looking forward to following along this week. Hey Joanna! It's nice to read about your quilting history, and I look forward to your week.